Filament of high quality. We use our own products, and are very satisfied with the quality. Hi quality PLA filament from ColorFabb in the Netherlands. A Light Brown PLA suitable for most 3D printers and 3D pens working with 1.75mm filament. Each spool is well embalaged in vacuum to con..
Hi quality PLA filament from ColorFabb in the Netherlands. A Lila PLA suitable for most 3D printers and 3D pens working with 1.75mm filament. Each spool is well embalaged in vacuum to conceil a ..
Hi quality PLA filament from ColorFabb in the Netherlands. A Magenta PLA suitable for most 3D printers and 3D pens working with 1.75mm filament. Each spool is well embalaged in vacuum to conceil..
Hi quality PLA filament from ColorFabb in the Netherlands. A Mint Turqoise PLA suitable for most 3D printers and 3D pens working with 1.75mm filament. Each spool is well embalaged in vacuum to c..
Hi quality PLA filament from ColorFabb in the Netherlands. A Naturel PLA suitable for most 3D printers and 3D pens working with 1.75mm filament. Each spool is well embalaged in vacuum to conceil..
Hi quality PLA filament from ColorFabb in the Netherlands. A Olive Green PLA suitable for most 3D printers and 3D pens working with 1.75mm filament. Each spool is well embalaged in vacuum to con..
Hi quality PLA filament from ColorFabb in the Netherlands. A Olympic Gold PLA suitable for most 3D printers and 3D pens working with 1.75mm filament. Each spool is well embalaged in vacuum to co..
Hi quality PLA filament from ColorFabb in the Netherlands. A Orange Translucent PLA suitable for most 3D printers and 3D pens working with 1.75mm filament. Each spool is well embalaged in vacuum..
Hi quality PLA filament from ColorFabb in the Netherlands. A Red Transparent PLA suitable for most 3D printers and 3D pens working with 1.75mm filament. Each spool is well embalaged in vacuum to..
Hi quality PLA filament from ColorFabb in the Netherlands. A Shining Silver PLA suitable for most 3D printers and 3D pens working with 1.75mm filament. Each spool is well embalaged in vacuum to ..
Hi quality PLA filament from ColorFabb in the Netherlands. A Signal Yellow PLA suitable for most 3D printers and 3D pens working with 1.75mm filament. Each spool is well embalaged in vacuum to c..
Hi quality PLA filament from ColorFabb in the Netherlands. 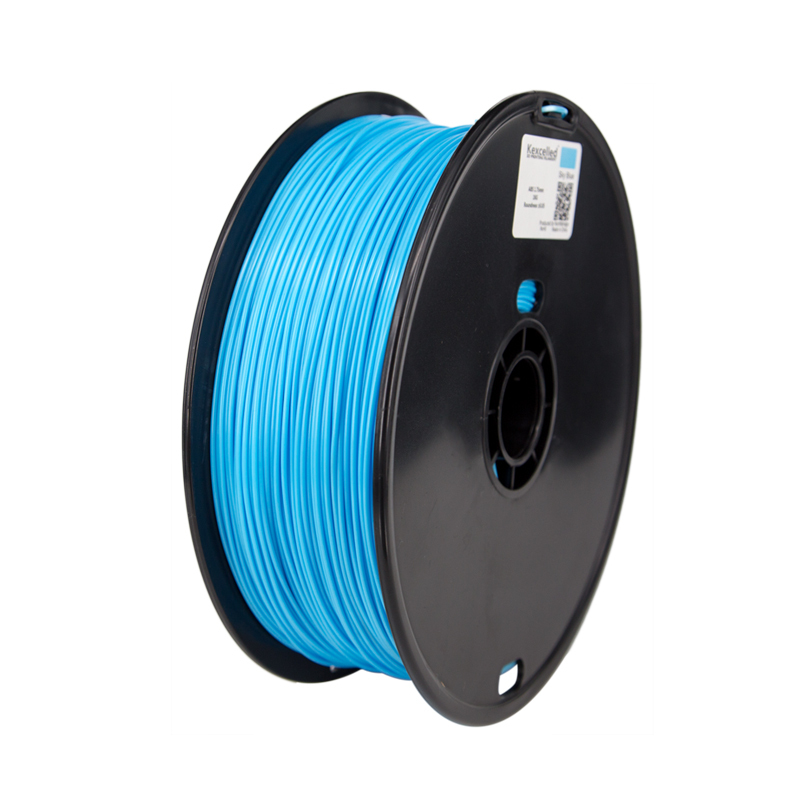 A Sky Blue PLA suitable for most 3D printers and 3D pens working with 1.75mm filament. Each spool is well embalaged in vacuum to concei..